The city of San Buenaventura, widely known as Ventura situated on the California coast and surrounded by 9,000 feet high hills. You can find this place on the original U.S. Route 101. The city is full of historic landmarks and beautiful nature. San Buenaventura nestles between two rivers - Venture river streams on the western part, Santa Clara River on the southern. San Buenaventura is a perfect place to move. Proximity to Los Angeles and Santa Barbara makes the city a perfect place of living. So if you want to use all the benefits this city offers, you should come here without hesitation. San Buenaventura moving company will help you to make this resettlement stress-free. Moving to another city and leaving your home always a big challenge. We believe that a pleasant, worry-free relocation procedure can provide a very good start for a new life. We do our best to ensure ideal moving for every client. If you order form us residential moving, you will get a new truck and team of movers. The size of the truck depends on the volume of your move. It does not matter for us how big it is – our professional movers will perform your relocation flawlessly at any distance. Packing is a very important part of our work. Basically, the quality of packing services will affect the whole moving process to the final destination. That is why we work only with professional packers who completed special training. To ensure proper packing we bring boxes for small things, wrapping tape, hand truck, blankets for furniture with glass. You can be confident that during the delivery all your possessions will be secure. Our San Buenaventura movers perform assistance in business and office moving. How do we arrange this type of relocation? First of all, we make a contract where we will indicate the cost, moving schedule, time of delivery and plan for unexpected situations. Before loading your office furniture and appliance to a truck, our movers carefully examine each item. After proper, safe packing we are ready to deliver it right to your new office. If you need to store office appliance our company can provide well-prepared space. Everything will be arranged in a way you require. Each storage unit has a high-class climate control system. If you are moving to San Buenaventura, you should know some facts about this place. San Buenaventura is a County seat in Ventura County with a population of 110,790 people. Most of the residents are white race (50%), and people of Hispanic or Latino origin (30%). According to the last US financial report, city’s top employers are County of Ventura, Unified School District, and Community Memorial Health System. Almost 20% of residents officially work in these companies. Average annual income for a married family is 115,000$. Ventura is a very famous place among tourists in California. That affects the city’s economy and encourage people to develop city farther. The city has a typical coastal weather with dry, hot summers and rainy winters. San Buenaventura is a place where you can see many trails of local past as well as have a pleasant time enjoying nature. If you like go fishing sometimes, visit Ventura Pier. It was built in 1872 and even now the place considering one of longest piers in California. Many people admire this place because of the view on sunset and ocean. In 2012 in San Buenaventura appeared a number of botanical gardens. These places are the best for learning and enjoying local nature. Emma Wood State Beach is a great place for people who adore swimming and surfing. There is always a possibility to glance dolphins here. 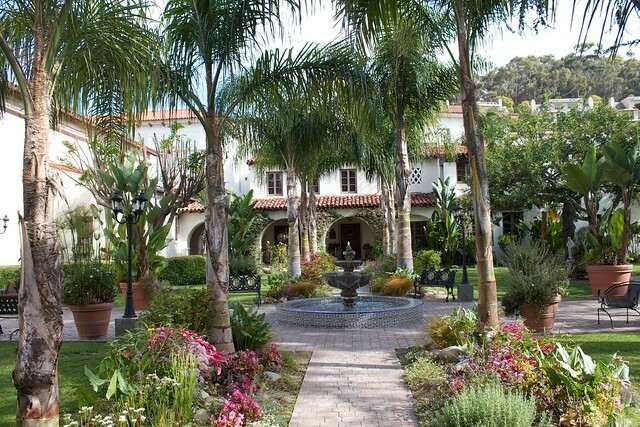 Take a walk on Main street and explore the famous Mission San Buenaventura. It is a place with a rich past, has experienced many damages from people and nature, though still remains in good condition. San Buenaventura is home for more than 20 parks and recreation areas. Arts and culture also well-presented in the city by music and film festivals. Those who enjoy music probably knew about annual Ventura County Fair. The festival has hosted celebrated musicians like The Doors, Jimi Hendrix, The Grateful Dead. Residents frequently go to art events provided by Buenaventura Art Association. City Hall - 501 Poli St, Ventura, CA 93001; 805-654-7800. Police department - 1425 Dowell Dr, Ventura, CA 93003; 805-339-4400. Community memorial hospital - 147 N Brent St, Ventura, CA 93003. Housing authority - 11122 Snapdragon St, Ventura, CA 93004; 805-647-5990. Ventura Botanical Gardens - 398 Ferro Dr, Ventura, California, 805-232-3113. I've moved about 20 times in my whole life and hired movers about 10-12 of those times. This time I hired California movers, and all I can say that the whole work was made by the team in the best way. They were quick, friendly and polite - all of these things I really appreciate. For me it only a pleasure to work with people like them. Thank you!